LOOKING FOR YOUR OWN PIECE OF PARADISE JUST STEPS TO THE BEACH? With NO boisterous, noisy renters next door? You've found it. 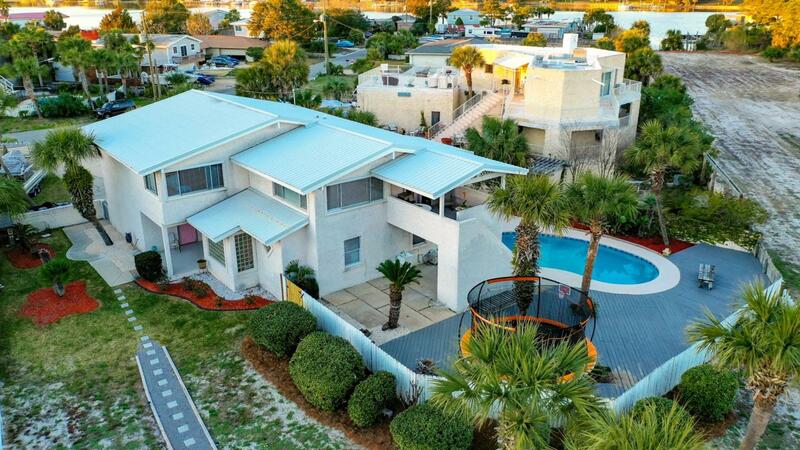 Located in a NON SHORT TERM RENTAL NEIGHBORHOOD & directly across the street from the Gulf w/steps & gated crosswalk to take you there, enjoy breathtaking sunsets & the beach lifestyle you've always dreamed of from this truly one-of-a-kind home! Offering a beautiful, private deck w/pool & fire pit, you'll feel like you're at a resort every night in your backyard w/string lights & sounds of the waves. 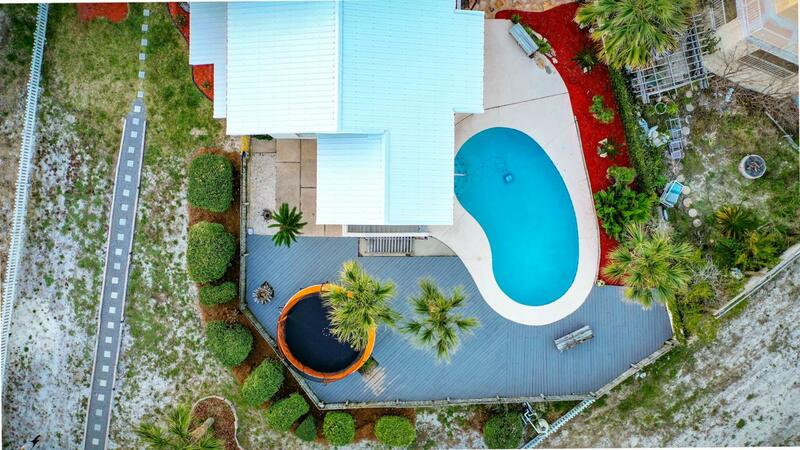 ''Peekaboo'' Gulf views & multiple outdoor living spaces can all be yours. High, vaulted, wood beamed ceiling adds architectural interest. The gorgeous, recently renovated kitchen w/new custom cabinetry, large island, glass back splash, wet bar area, gas stove &SS appliances & built-in dining banquette takes center stage! Offering 2 living areas, a GIGANTIC Movie Screen size TV accents the family room providing an ideal space/man cave to watch movies & sporting events. Prepare to fall in love with the newly remodeled master bathroom w/stand alone tub, walk-in-shower & granite topped his & her sinks. Offering a split floor plan, all 3 bedrooms are located away from the master. Other features include tile wood looking floors, GIANT master closet, new master black out shades, new dryer, 3 year old resurfaced pool, new Polaris, outdoor shower, 2 car garage, LOTS of parking for a boat or RV, and a transferable home warranty. 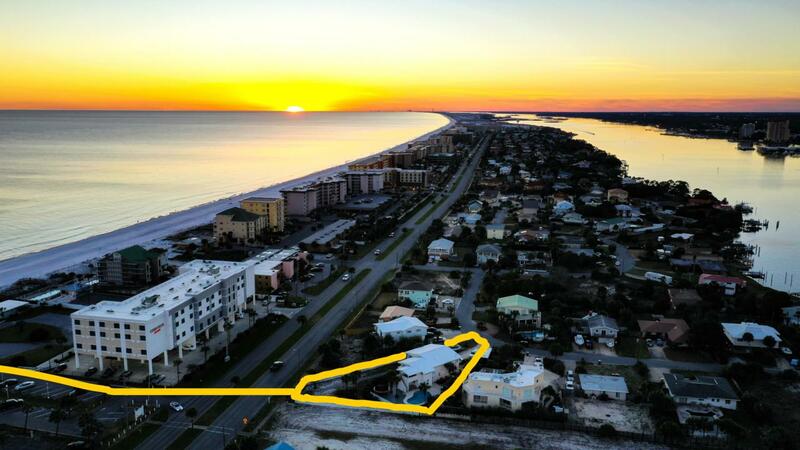 Located in the heart of Okaloosa Island, shopping and great restaurants are close by. 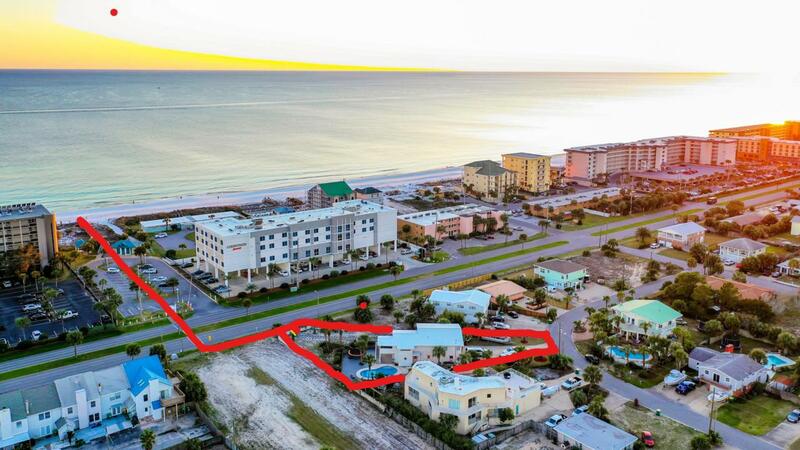 Come see this amazing home today and start living the Beach lifestyle you've always dreamed of!